Use in sweet and savoury cooking such as fragrant biriyani rice dishes, Moroccan cooking, curries or marinades. Use in baking, to make biscuits and to sprinkle onto French toast. 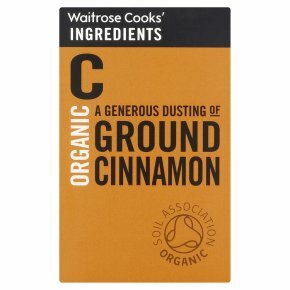 From Sri Lanka and/or India, our cinnamon is 100% pure. Use in sweet and savoury cooking such as fragrant biriyani rice dishes, Moroccan cooking, curries or marinades. Use in baking, to make biscuits and to sprinkle onto French toast.